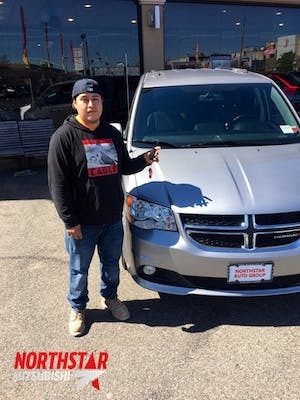 Your Full-Service New & Used Car Dealer In Long Island City, New York Northstar Mitsubishi is a new and used car dealership that is committed to serving all drivers from nearby Brooklyn, NY and throughout New York City. Our full-service car dealership is your local source for brand-new Mitsubishi models at competitive prices, as well as quality used car options and financing, service and parts assistance. 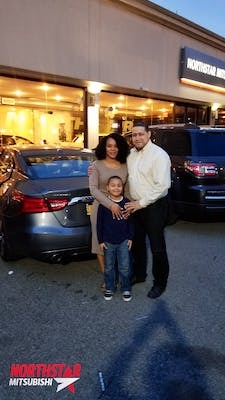 We welcome you to learn more about our Long Island City, NY dealership here on our user-friendly website before you drive over from nearby Queens, NY or beyond to test drive a new Mitsubishi or bring your car in for maintenance. 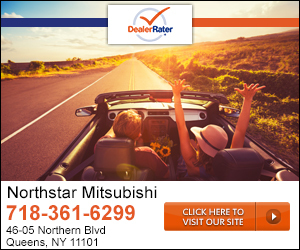 Shop The Latest Mitsubishi Models & Quality Pre-Owned Options L Long Island City Discover the stellar style, features and value of a new Mitsubishi Outlander Sport when you shop the selection here at Northstar Mitsubishi. Whether you first shop our website or visit us, you'll find an extensive selection of new cars and SUVs, from the roomy new Mitsubishi Outlander SUV to the sporty new Eclipse Cross. 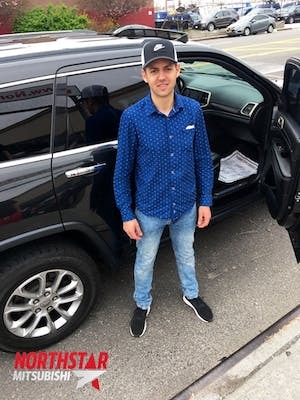 We want to be a top resource for New York City used car shoppers, and we proudly stock our inventory lots with an array of quality used cars, SUVs and pickup trucks for sale from a broad range of automakers. Remember to view our used and Certified Pre-Owned (CPO) Mitsubishi inventory for Mitsubishi style and features at an even lower price! Auto Financing Assistance For All Here at Northstar Mitsubishi, we are honored to serve all drivers from nearby Brooklyn and Queens, NY. Our finance department caters to New York City car buyers of all credit situations, so we welcome you to apply for financing if you are credit challenged or have yet to establish credit. Our new and used car dealership accepts trade-in vehicles of all makes, so why not utilize our online vehicle appraisal service to see what your car is worth and put its value toward that new Mitsubishi that has caught your attention? Explore Our Automotive Services When the time comes for routine maintenance or new Mitsubishi parts for your car or SUV, turn to Northstar Mitsubishi. Our in-house parts department and service center in Long Island City, NY feature trained staff and genuine Mitsubishi parts and accessories, that together will help your Mitsubishi perform at its best and protect its stellar factory warranty. Browse our many automotive services online now, then contact or visit us from nearby Brooklyn, NY for top-quality assistance! Excellent customer service given by oral If you looking for your next dream car oral is the person to make dreams come true. Def referring a friend to this dealership. Good energy flowing in this dealership. Dealership and Staff was very professional and Helpful and I recommend this dealership to anyone looking for a vehicle you will get excellent service enjoy. Jeff, Stephanie, and Chris have all been amazing and very patient. This is my first car and they made everything super easy. Never pushy very helpful! After several years of headaches from our 11-year old SUV, we were finally in the market to upgrade to a newer sedan. 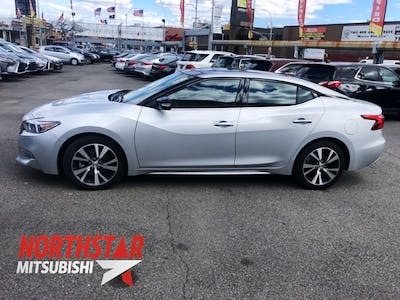 We came to Northstar Mitsubishi for 2017 Nissan Altima SL listing, but fell in-love with a 2018 Nissan Maxima SV conveniently parked next to it... Ray was extremely helpful in answering all our questions, and ensuring we got the best deal. Chris on the Finance Team was also extremely helpful in helping us get the best terms. Happily drove home with our new car same-day, and definitely recommend Northstar Mitsubishi! "They can get what you want!" From many car dealerships I find the widest car selection here at Northstar Mitsubishi with excellent sales management. Orlando was very kind and helpful. He made our dream comes true. 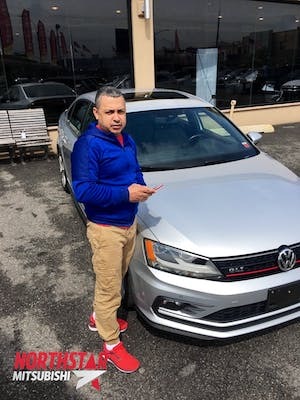 I didn’t felt like he was trying to sell the car, i felt like he was helping us to get a excellent car what is good for our family. Definitely was a good experience and would recommend to everyone! Great service from the beginning to the end I got all the answers to my questions when I was on the show room they kept coming to me and ask if everything was ok and if I needed anything overall great service specially from my salesman orlando thanks for everything. Came in to have aftermarket suspension and brake calipers fitted. Prompt appointment arrangements and were flexible with vehicle drop off, even finished the work before time promised. Walked in and did not expect to leave with a car! Although was long process ! I am Happy with my purchase..Great Customer Service too!